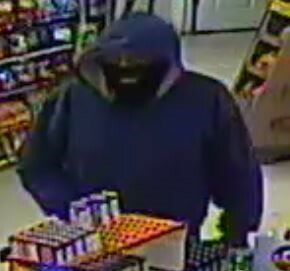 On Friday 10-14-2016 at 2:29 AM, Lapeer County 911 Center dispatched Lapeer County Sheriff’s Deputies to the Beacon and Bridge Gas Station located at 1898 N. Lapeer Road in Lapeer (Lapeer County’s Mayfield Township) for an armed robbery that just occurred. The 19 year old store employee told deputies that they were stocking the shelves and not immediately positioned behind the counter when the suspect entered the building. The suspect walked behind the counter to the cash registered. 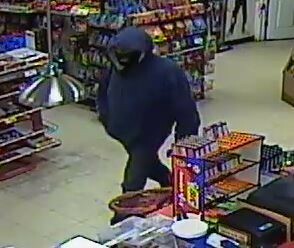 The employee encountered the suspect while he was behind the counter at the register. The suspect produced a weapon and demanded cash. The employee provided cash (amount not being disclosed) from the register to the suspect. The suspect fled the store on foot. The 19 year old employee and only individual inside the building at the time of the armed robbery was not harmed. No vehicles associated. The suspect fled the building on foot and was last observed running south in direction toward Lapeer. Lapeer County Sheriff’s Deputies with the assistance of the City of Lapeer Police Department, Metamora Township, and Dryden Police Department established a perimeter. Michigan State Police Canine Team responded to assist. Despite efforts, the suspect was not immediately located. Anyone with information or can identify this individual is requested to contact Lapeer County Sheriff’s Detective Sgt. Jason Parks at 810-656-1015 or jparks@lapeercounty.org. Information can also called into the Lapeer County Sheriff’s Tip line (810-245-1374).